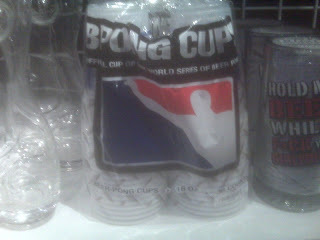 Apparently there are official beer pong championship cups. Chuck, I believe you need these. -Thanks to Bleezy Williams for photo. Thank you, thank you. I know my shiiit.